It is not a compliment to say that a physician is practicing “cookbook medicine.” Rather, it suggests that the physician is applying “one size fits all,” unreflective, and impersonal clinical methods, and that the patient may suffer as a result of the lack of nuanced, reflective, and humanistic care. The best physicians—just like the best cooks —make use of creativity, intuition, judgment, and even je ne sais quoi. Explicit algorithms of care do not capture these apparently vital skills. The term “cookbook medicine” was used as early as the 1970s to object to the then-new institution of the medical consensus conference, which brings experts together to make joint recommendations about clinical practice. The term has been used frequently since then, especially in conjunction with the recommendations of evidence-based medicine, which are based on the results of large clinical trials. “Cookbook medicine” is also seen as “medicine by committee” that can challenge the authority of the individual physician. Individual authority is a cornerstone of professional status, especially in the United States. In sum, the generalizing tendency of practice guidelines—whether based on expert consensus or evidence-based medicine—leads to undesired treatment of both patients and physicians. The term “cookbook medicine” conveys a type of medicine that is beneath the standards and the dignity of professional physicians. The type of medicine that is generally preferred has been called “personalized medicine,” suggesting care that is tailored to the particulars of the case as well as care that acknowledges the personhood of the patient. Most recently, the term “precision medicine” has been used to focus on the scientific particulars of the case, whereas “narrative medicine” focuses on the humanistic particulars. The best medical care combines such knowledge of particulars with more the general findings of empirical research. It is worth reflecting on the connotations—as well as the datedness—of the term “cookbook medicine.” It is also not a compliment to cookbooks to use them as a metaphor in the term “cookbook medicine.” Recall that in the 1970s, Anglophone cuisine was only beginning to go through a culinary revolution and most food preparation was limited to a few standard dishes. Moreover, the term “cookbook medicine” was coined at a time when cookbooks were written for housewives whose work in all domestic spheres was poorly understood and generally trivialized. In another decade, Alice Waters and Julia Child would become household names, and their personalities and food writing came to be as important for learning to cook as the recipes in their cookbooks. 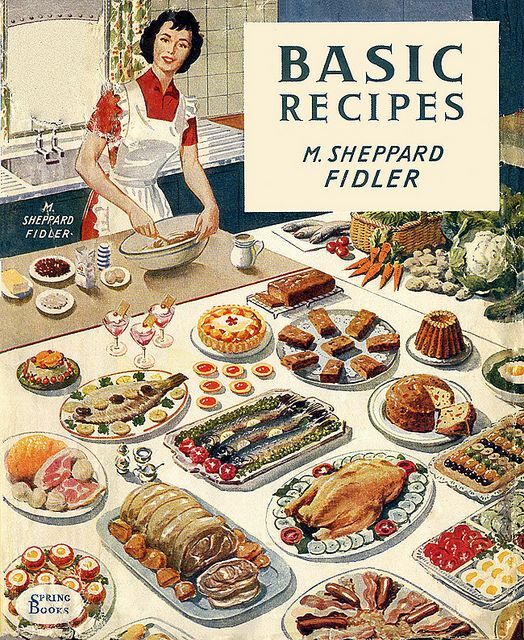 The second wave of feminism took hold, men began to cook in the home, and the rest is history in the rising prestige of cooking (unfortunately not so much other domestic labor)—especially a rise in the publication of cookbooks showing creativity, intuition, judgment, and even je ne sais quoi in their communication of tacit as well as explicit knowledge. (A favorite recent example is Jerusalem by Yotam Ottolenghi and Sami Tamimi.) In another generation, I hope, no-one will understand that “cookbook medicine” meant “women’s work,” nor will they understand why “cookbook medicine” is in any way pejorative. Image Credit: ‘What’s Cookin’ by sling@flickr. CC by 2.0 via Flickr. 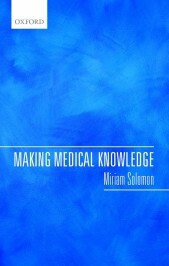 Miriam Solomon is a Professor of Philosophy at Temple University and the author of Making Medical Knowledge. She has a BA in Natural Sciences from Cambridge University and a PhD in Philosophy from Harvard University.